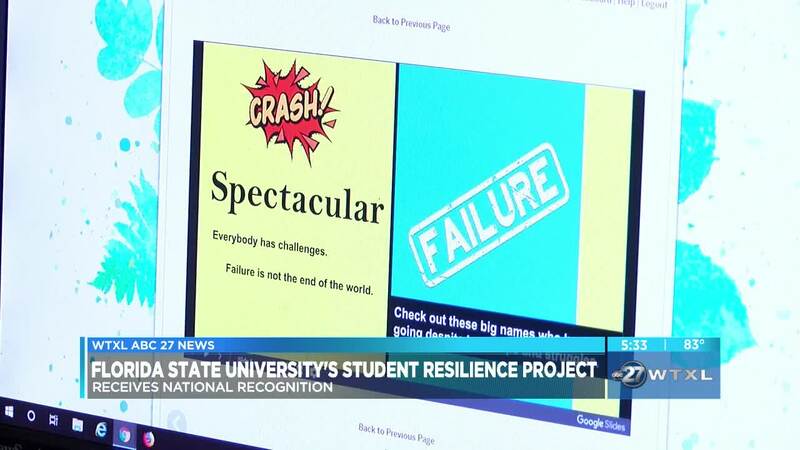 TALLAHASSEE, Fla. — Florida State University is getting national recognition for its Student Resilience Project. The project is an online tool that helps improve the mental health of students and reduce stress. It was first launched at the FSU College of Social Work. It includes a toolkit with interactive videos, audio, and resources to help students learn how to manage stress. "We want students to know that when there are pumps in the road, challenges, and when they are facing new difficult circumstances, said Karen Ohme, Director of the Institute for Family Violence Studies. They will have the tools to be able to overcome barriers and navigate those rough patches." The award will be given to the College of Social Work in June by the American Association of University Administrators.